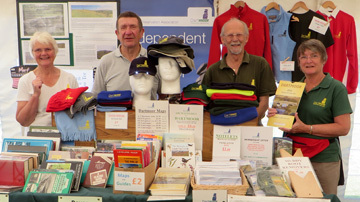 Thursday 5th September saw the DPA volunteers turning out again under a moderately hot sun. It was a good day to carry plenty of liquid – I don’t normally drink between between the regular breaks but I did today, it was warm. The starting area – we camped under the banyan tree on the left. The photograph above shows the area where we started, there is previously cleared ground nearest the camera and uncleared ground further away ….. 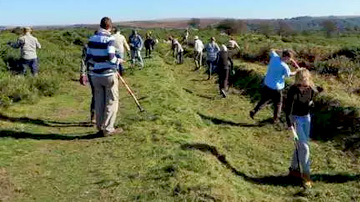 The starting area, after clearing. This photograph shows it all cleared. The shade tree on the left by the bend in the leat is where we had our base for the day ….. Lunch break, in the shade. The volunteers taking a well-earned break. I have to thank Bill, Chris, Derek, Elaine & John, Emily, Janet, John & Rachel, Sylvia and Val, with myself making 12 energetic souls. 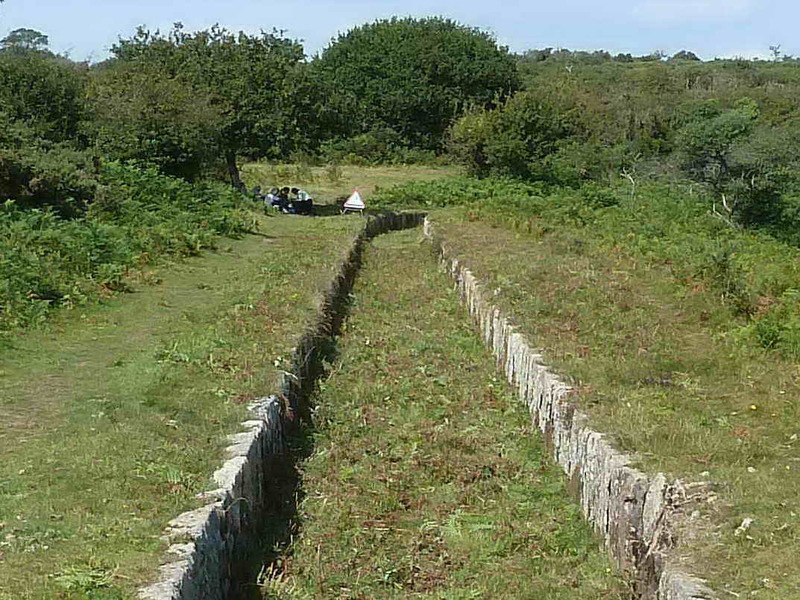 A length of Plymouth Leat before bracken clearing was done. Before the bracken was cleared, some parts of the leat had almost been hidden from view, as can be seen in the photograph above. I am always amazed at the difference that a few hours of concerted effort by “The A Team” can make, as shown by the last photograph! After the bracken was cleared away. 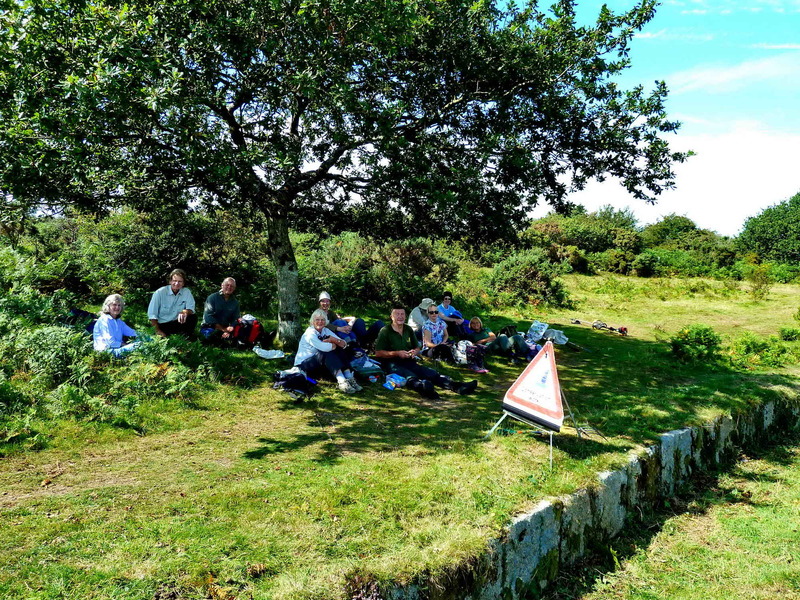 Statistics: We cleared approximately 370 metres along the leat, both of bracken and then of re-grown gorse: this was accomplished with four brush-cutters. We have to thank our TWO Cake Queens today – Sylvia for her Pear & Ginger cake and Elaine for two other cakes – Lemon and Chocolate. A leat is a manmade waterway – a bit like a mini-canal – used to carry water from it’s natural source to where it is needed. 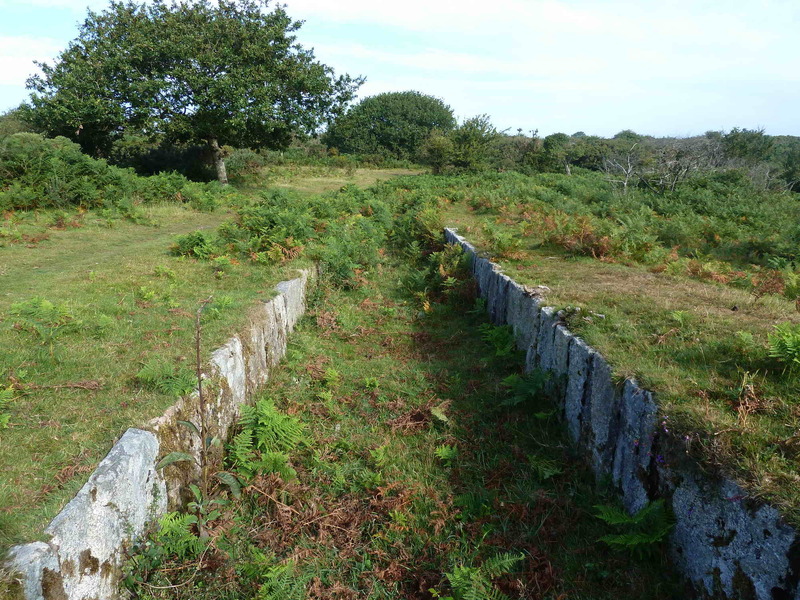 The Plymouth Leat was built under the management of Sir Francis Drake as an additional freshwater supply for the city of Plymouth. 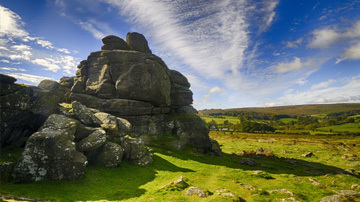 It originates up on Dartmoor. The Devonport Leat was built later to carry freshwater to Devonport. 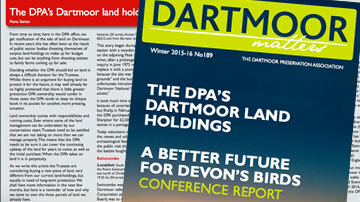 Both leats still exist on the moor, but the water they carry now runs into Burrator Reservoir. There are lots of smaller leats on the moor that carry water to farms. The commoners grazing their cattle on a common often have the responsibility of upkeep of the leat. Hope this helps.